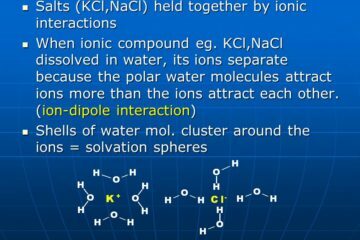 Intermolecular interactions between adjacent atoms, molecules, and ions not chemically bonded to one another are mediated by a short list of intermolecular forces which are primarily electrostatic in nature. The importance of each of these forces for a given system depends on the properties of the atoms, ions, and/or molecules involved. In aggregate, however, these interactions among neighboring particles can have profound effects on the bulk properties of a given substance or mixture. For example, the melting points of solids and the boiling points of liquids depend on the amount of thermal energy required to overcome the intermolecular forces between their constituents at a given pressure. All else equal, stronger intermolecular interactions will generally result in higher melting and boiling points than weaker ones. These interactions also strongly influence the solubility of a given solute in a particular solvent. Understanding these interactions is critical for comprehending many important phenomena in biology and biochemistry, particularly with respect to the behavior of water, and how proteins and other biomolecules interact with it. In some sense, covalent bonds, ionic bonds, metallic bonds, and each of these types of intermolecular forces I’m about to introduce are all essentially different manifestations of the same phenomena: namely, electrostatic forces. However, there exist some subtle distinctions, both qualitative and quantitative, which get really complicated really fast when one starts really trying to unpack them thoroughly. So, this is not intended to be a comprehensive treatment of various levels at which these phenomena can be analyzed, nor of all the ways in which intermolecular forces play into this broad set of scientific sub-disciplines, but rather to provide an overview that may (hopefully) be slightly deeper than what one might encounter in High School or Freshman University level chemistry, and which I can later tie into other topics I may choose to write about in the future. Note: Originally, I had written this series as one really long post (over 3,600 words). After thinking about it for a while and discussing it with some other blogger friends, I decided it would be less cumbersome if organized into neat little bite-sized subsections. I’d also considered doing both the long single post and using a table of contents to hyperlink to the separate subsections. However, I sometimes like to make additions, updates, and/or other modifications to my old posts, and I quickly realized that being able to update them separately would be far more practical. So, what I settled on was to keep the introduction and table of contents here with links to each sub-article. So, without further ado, here we go. Just choose a subsection and click on it.